If you have been unable to make your mortgage payments you will typically receive a notice of default after the third missed payment. You then have 90 days to remedy the situation, or the house will be put into foreclosure. Not only does this mean you will lose your house and any equity you have in the home, but your credit will be severely damaged for at least 10 years. If you are unable to catch up on your payments or arrange a loan modification, then you should waste no time putting your house up for sale to prevent a foreclosure. In the current real estate market, this will often mean that the house is sold for less than what you still owe on the mortgage so you can sell the home quickly. This is called a “Short Sale”. In a short sale, the lender will agree to discount a loan balance due to economic or financial hardship. This allows you to sell the house to another buyer for a good price, while the lender recovers most of the amount due on the loan. 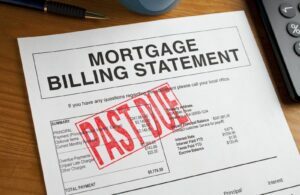 The lender will usually accept a short sale to avoid the time and expense of a foreclosure. Hopefully we can find a way to prevent your having to sell your home. If that is not an option, I will make sure we are successful working with your bank to get the home sold before it goes into foreclosure so we can minimize the damage to your credit. In this difficult time I will be there to serve as your trusted advisor through the entire process.